Dr Karl Kruszelnicki is a popular science commentator on radio and television, bestselling Author of 28 books and creator of the new family board game, Fact or Fishy. Dr Karl is also the proud father of three children and was honoured with the title Australian father of the Year in 2003. 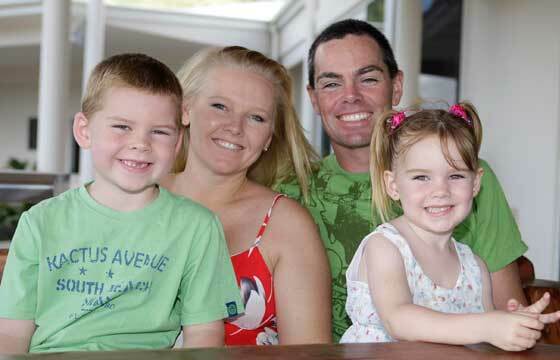 Here he shares his favourite family holiday memories. Definitely the central deserts of Australia - at night. We’ve spent a total of about a year and a half on pure outback travel... on our biggest trip we started off at Alice Springs then headed west for a thousand kilometres and then north for another thousand. We didn’t see another human being for a month and had to carry all of our own food and fuel. Every night we had an early dinner then lay out on our swags and looked up at the sky for hours searching for satellites... and meteors... before falling asleep. Where is your favourite international family holiday spot? 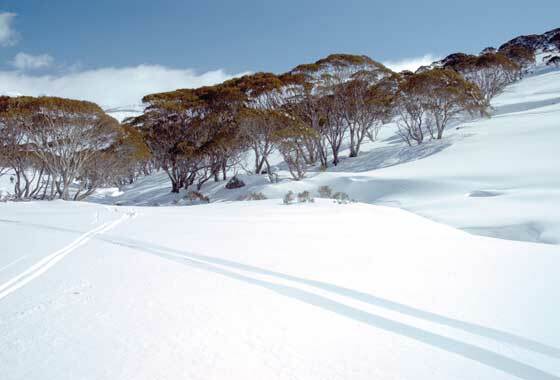 We’re pretty hot on Australia... but we’re going to the Antarctic again, I went last year with my son and I’m taking my wife and youngest daughter this year. Stop a lot! And don’t be in a hurry. Don’t let them drink cola! On one trip to America the kids could have anything they wanted, which was cola, and blow me down they were wide awake for the whole trip. Describe your biggest family holiday disaster? The kids got chicken pox in Hawaii. We thought we’d see the local doctor but when the concierge warned us that it was going to cost US$250 per child so we diagnosed it ourselves. We didn’t worry too much until we were coming back and the cabin crew wouldn’t let us off the plane in Sydney. I had to explain that I was a doctor at the kid’s hospital... and the person they’d have to ring to find out what to do anyway. It took some convincing before they let us go. Describe your favourite family holiday photo? 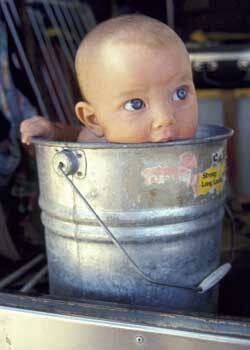 It’s an old picture of my daughter Alice when she was just weeks old... in a bucket in the outback. 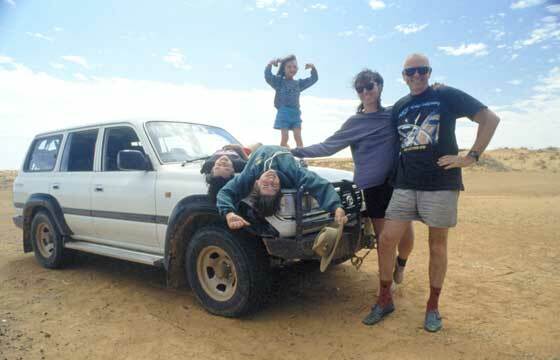 The other shot is just a fun shot of the family a few years later on another Outback trip. My youngest daughter, Lola, wants to go to Mt. Fuji in Japan, so that’ll be our next trip after Antarctica. Do you prefer resorts with kids’ clubs? The real fun about being on holiday is being with the kids all the time.